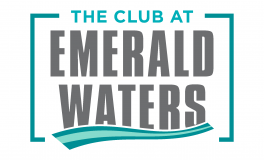 Here on The Club at Emerald Waters Blog we enjoy highlighting random holidays and sharing ideas with our residents for how to celebrate them! In this post, we are highlighting Something on a Stick Day, which falls on March 28th. Read on for some food-on-a-stick recipes. Celebrate this fun holiday by enjoying some tasty foods on a stick at your Hollywood, FL apartment! This recipe for french toast kebabs from Martha Stewart Living is perfect for getting your Something on a Stick Day off to a fun start! You will need eggs, salt, buttermilk, vanilla extract, unsalted butter, a loaf of dense white bread, fresh raspberries, banana slices, fresh blueberries, maple syrup, and of course, skewers. Ever eaten a sandwich off a stick? Keep your sandwich from falling apart with this recipe from By Stephanie Lynn. Here’s what you will need to make it: white bread, deli turkey, slices of cheddar and mozzarella cheese, grape tomatoes, lettuce leaves, cooked bacon slices, stone ground mustard (for dipping), and bamboo skewers. Just thinking about this recipe from the Food Network is making our mouths water. You will need large sea scallops, zucchini, vegetable oil, lime wedges, salt, paprika, cumin seeds, minced garlic, unsalted butter, coriander seeds, salt, sugar, jalapeno pepper, lime juice, light coconut milk, fresh mint leaves, and fresh cilantro. Some fruit, cheese, and salami meat on a stick make for the perfect mid-day snack! You will need skewers, cantaloupe, honeydew melon, small mozzarella balls, and prosciutto slices. Make a vinaigrette for your snack from sherry wine vinegar, honey, olive oil, salt, white pepper, and thinly sliced mint. What is your favorite food to enjoy on a stick? Share the recipe with us in the comments so anyone in our apartment community can give it a try. Thanks for reading! We hope you enjoy this fun holiday!